I just purchased an USB-C to Lightning cable, but when it came I realized that it has also a micro USB right in the Lightning connector. My fear is that the short circuits will damage the iPhone if I insert it the wrong way. The iPhone itself has pins only on one side. Are this cables safe? Should I remind myself every time that I need to insert it in a certain way? I have personally never seen a cable like this. i have seen Micro USB to Lightning adapters like this. Personally I would be more careful than usual and just not force the cable if it doesn't go in as then you could be inserting the Micro USB to not damage the phone. After all if this was sold legally this must have been verified. So in conclusion just be careful and don't force it in. Also as mentioned by the OP be careful with the two pins. After taking a closer look the adapter doesn’t seem certified so I recommend throwing it away. Not the answer you're looking for? Browse other questions tagged iphone usb lightning . How do I diagnose non-operational external USB3 hard disk drives? Will generic lightning cables and the “authentication chip” present in the genuine cables work with iOS 8? 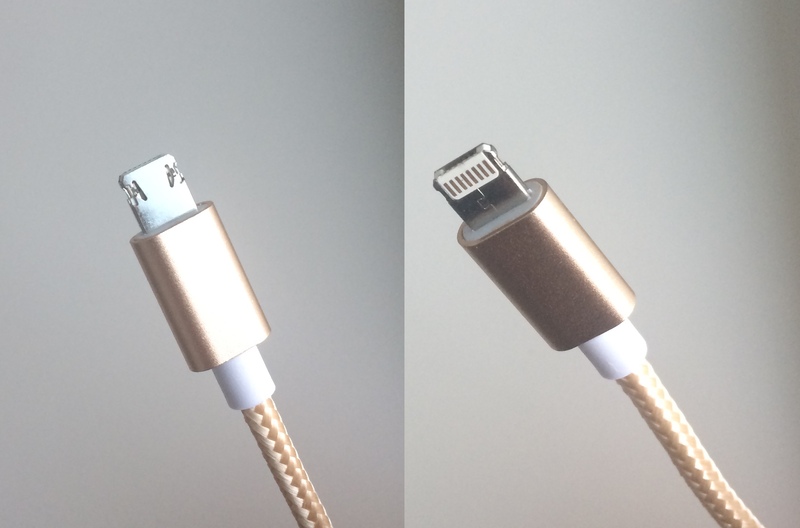 USB-3–Lightning cable: Does it yet exist?